This programme is for young people who want to take part in a volunteering project! Whether the project is in the UK or abroad we can help with a one-off grant of up to £400 per person. The Individual Grants for Volunteering programme encourages young people across London and Essex to get involved in volunteering projects in the UK and overseas. 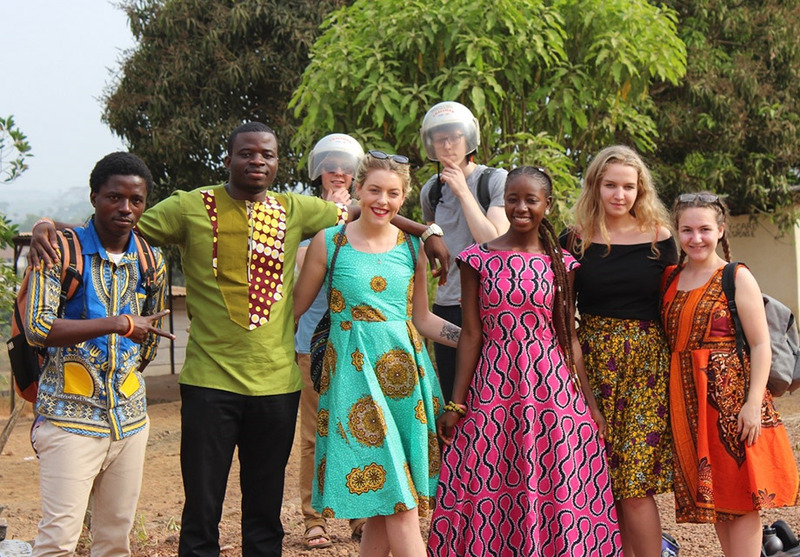 We’ve helped young people to travel all over the world to help local communities, support schools, improve access to health services and contribute to conservation projects. 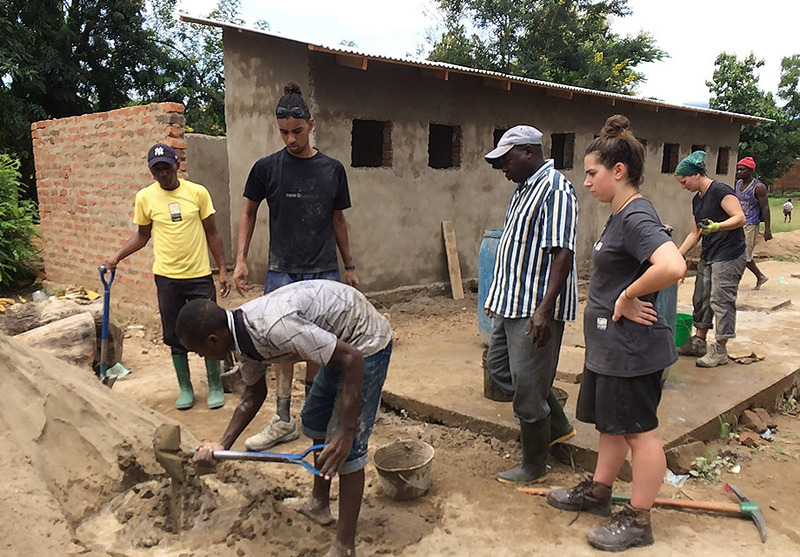 The life-enriching volunteering experiences we support provide clear benefit to communities across the world as well as helping to raise young people’s aspirations and support their personal development. Over 3,000 young people have been supported with a grant for volunteering. 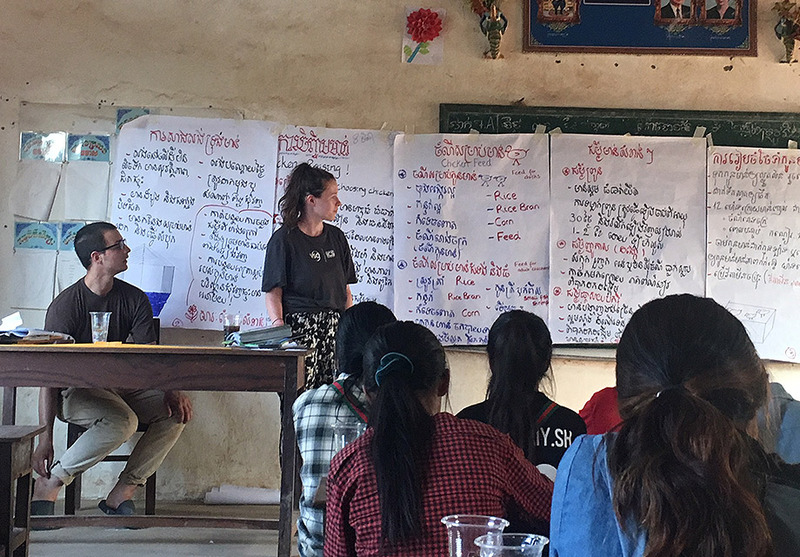 Examples of past volunteering projects include improving access to clean drinking water within a local community; promoting health services within remote areas; supporting local entrepreneurs to develop a sustainable business plan; environmental programmes such as working with endangered animals in a sanctuary; teaching English and Maths. I am looking forward to interacting with the local community, and giving back to people less fortunate than myself. I have been learning phrases from the local language, and I am keen to demonstrate a positive work ethic during my stay. Since 2010, JPF have supported over 4800 young people and provided over £850K of funding to enable young people to volunteer. 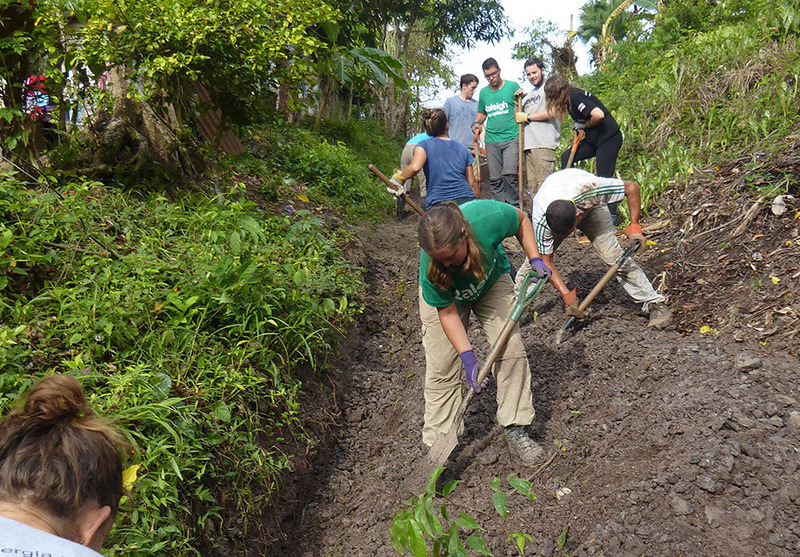 We have supported volunteering trips in over 60 countries. Applications for a grant are unlikely to be successful if the project is a trip that includes only a small element of voluntary work. Live in London or Essex. Be aged 11-25 at the time of your project. Ensure that your project involves voluntary work. Undertake your volunteering with a UK based organisation (Educational establishments, youth groups, registered charities or organisations experienced in planning volunteering programmes). Apply at least threemonths, but not more than nine months, before the project’s start date. Make a financial contribution by raising at least 50% of the cost yourself. Commit to submitting a report after the project, which may be used on our website/in local press. Applications for a project you are undertaking by yourself and not with a UK based organisation. Applications where you are delivering the project with an organisation based or registered outside the UK. Individual training or education courses. Specialist equipment, clothing or items required for a specific event. Attendance at local, national or international competitions (e.g. sports or dance). Personal holidays or student exchange programmes. Projects that are established ONLY for the purposes of promoting a specific political or religious belief. Note that you are less likely to be successful if your project is a trip that includes an expedition, trek, safari etc. and involves only a small element of voluntary work. We will fund up to 50% of the cost of your project and no more than £400 per person. We expect you to be committed to raising the balance. We recommend that you read the application guidance notes and FAQ’s before completing the application form. To download please click here. If you have any further queries or questions please call us on 020 8252 8000. 1. Am I eligible to apply for an Individual Grant for Volunteering? Please see the website which provides a detailed list of the eligibility criteria. If you are still unsure then please contact us. You must apply 3 – 9 months before your project commences. Unfortunately we cannot accept applications outside of this date, as it can take up to 8 – 12 weeks to approve your application. 3. Can someone else apply on my behalf? All applications must be submitted using the online application form. Applicants can apply for up to £400. We will make a grant of up to 50% of your total cost up to the value of £400. For example if your direct costs are £400, we would make a grant of up to £200. 6. What can I apply for? The grant must be used towards the direct costs you will incur to participate in the project, for example travel costs such as flights, accommodation, insurance etc. The grant cannot be used for project costs or resources & equipment. 7. What information do I need to provide? The application form has a range of compulsory questions that you will be required to complete. Please ensure that you read the guidance notes detailed below and follow the instructions as all applications are assessed and scored. 8. When will I hear if my application has been successful? You will receive an automatic email once your application has been submitted. You will also receive emails from us at various stages during the application process. Please ensure that you check your inbox regularly. If you do not receive an automatic email following the submission of your application, please do check your junk folders in your email account. We aim to assess all applications within 8 – 12 weeks. Once your application has been approved we will send you a grant acceptance letter which you will need to sign and return to us. Once this has been received we will send a cheque to you which will be made payable to the UK based organisation that you will be volunteering with. 10. Who is the cheque made payable to? Unfortunately we cannot make cheques payable to individuals, therefore all cheques will be made payable to the UK organisation that you will be doing your volunteering with. 11. Can my grant be paid using my Just Giving Account? Unfortunately not, we can only raise cheque payments at this time. 12. How many times can I receive an Individual Grant for Volunteering? You can only ever receive one Individual Grant for Volunteering. 13. If I decide to no longer go on the project, can my grant be given to someone else? If you are no longer taking part in the project you will be required to return the grant in full. Note this must be an address based in London or Essex, and should we approve a grant this is where we will send the grant offer letter to. Confirm the name of the London Borough or the Essex district that your address is located in. Confirm your telephone number, as we may need to contact you via the telephone. We do email and send you information/updates whilst your application is being assessed. Are you in school, college, university or are you currently employed/unemployed? Please tell us the name of the organisation coordinating your project/event? Confirm the name of the organisation that you will be undertaking the volunteering trip with. Please note that this must be a UK based organisation (i.e. School, Charity, Church or Uniform Group). Confirm the full address of the organisation that you will be undertaking the volunteering trip with. Confirm the website address of the organisation that you are undertaking your volunteering project with. Confirm the name and contact details of the person coordinating and organising the volunteering trip. Applicants are required to provide the name of an individual that can provide a character reference. Please note that the referee must know the applicant in a professional capacity, i.e. a Teacher, Youth Worker, Manager, Doctor, or Colleague. The referee CANNOT be a family member or friend. Please note the referee cannot be connected to the volunteering project, as the reference must be impartial. Confirm the address of your referee. Confirm the landline telephone number of your referee in case we need to make contact with them. We need to know the capacity in which you know your referee, as this should be someone known to you in a professional capacity. Please note we cannot accept references from family, friends or someone involved in the project. Please describe the volunteering trip you will be participating in. Please also detail the types of activities & tasks you will be completing. Please provide as much information as possible about your trip and the actual work and tasks you will be undertaking. You are not required to provide any information about the work you will be doing fundraising or any preparatory work prior to the actual volunteering project. All applications are assessed and scored, therefore please include as much information as possible. Describe the changes that you think the trip will have on you. What might you find challenging whilst you are undertaking your project? What skills and attributes will you learn and develop? Please tell us how the project will help you to achieve more out of life? Will the volunteering project help you in your career choices? Will the project increase your awareness of certain issues? Will the experience increase your social, personal, employment skills etc. Will you appreciate things more? Please tell us how the project will benefit other young people or others in the community? Describe how the work you will be undertaking will improve the lives of young people or the community. What would the impact be if this work was not carried out? Confirm the date that your project starts, please use the following format (DD,MM, YYYY). Please remember that you must apply at least 3 months before your project starts and no later than 9 months prior to your project. Please tell us the date your project will finish. Confirm the date that your project finishes, please use the following format (DD,MM,YYYY). Please tell us how many days you will be spending on volunteering? Confirm how many days you will be volunteering (please use numbers only). Please tell us where your project will take place? Confirm the location and country where your project will take place. Break down your direct costs for taking part in the project. Confirm the amount you have raised so far towards your project. Confirm the amount you still need to raise to take part in your project. Please confirm how much money you are requesting from the Jack Petchey Foundation. Confirm the amount you are requesting from the Jack Petchey Foundation. Please use numerical characters only. Please tell us how you plan to raise the rest of the money that you need. Provide details of how you intend to raise the outstanding fund required. Please give us a complete breakdown of your project/events costs. Provide a breakdown of the total cost of your project/event costs. Please tell us who the cheque should be made payable to, should your application be successful. We can only make cheques payable to a UK based organisation and not an individual. Please confirm with the organisation which is organising your volunteering trip/project, what payee name should be used on the cheque. How did you hear about the funding programme?